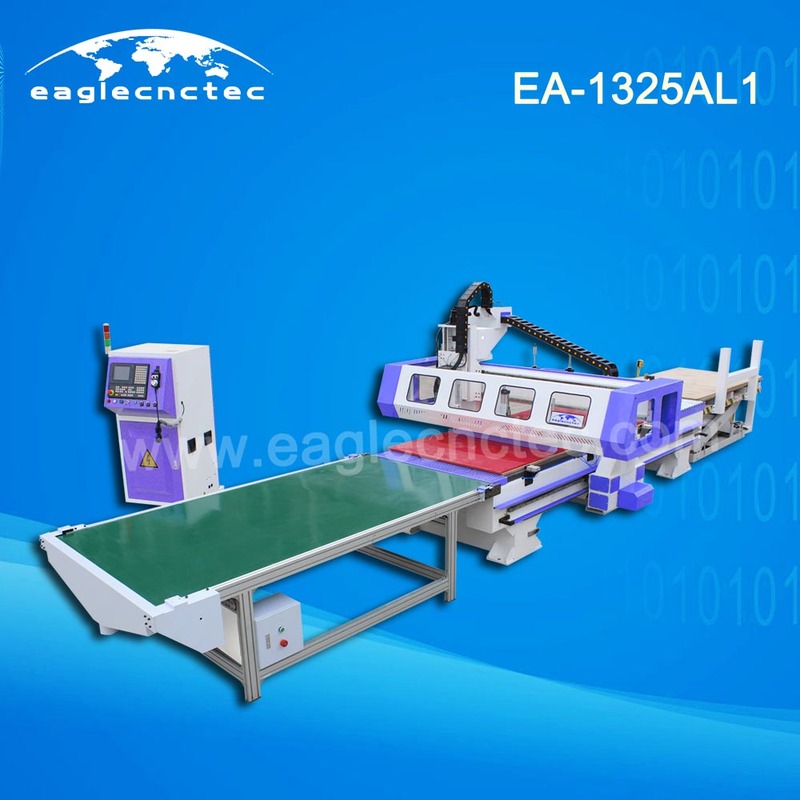 Simply speaking, auto loading and unloading CNC wood cutting machine EA-1325LA1 is a combination construction of CNC router with ATC and auto loading/unloading system. This combination together with the specialized nesting software, optimize the whole production process greatly from design, to machining and then finally to on-site installation. Compared with traditional way, it can save 50% labor source and finish all the jobs of one set cabinet body one stop. Also, the nesting software improves the utilization of material to the max extent. Based on the points above, CNC wood cutter with auto feeding has the highest production output and become a new trends in panel furniture industry. Specially for panel furniture includes office furniture, kitchen cabinet, cloths cabinet and so on. 6) It’s a high configuration machine; nesting cnc router with standard configuration is also available.